The new Jeju Aerospace Museum, also known as JAM, is located in the Andeokmyeon section of Seogwipo City. The Jeju Free International City Development Center (JDC) worked on creating this museum for 3 years, spending aproximately 115 billion won on construction. 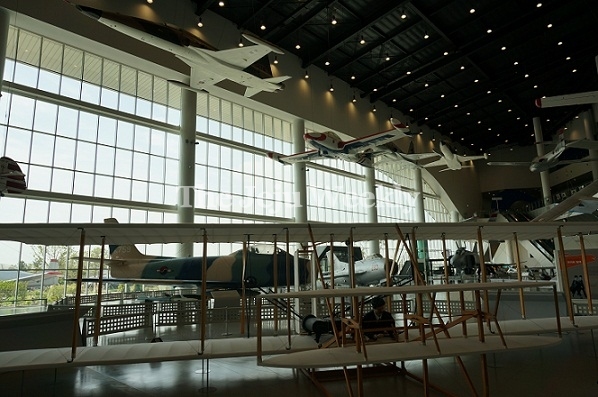 JAM is now the largest aerospace museum in Asia, after having its grand-opening on April 24, 2014. JAM is a very large museum. It consists of 2 floors filled with exhibits. The first floor is the Aviation Hall. This floor informs visitors about aviation technology, as well as the history of aviation. All exept two of the airplans located in this section are real. This demonstrates the types of aviation really used by the Korean Air Force and their military counterparts. The second floor is called the ‘Space and Theme Hall’. This floor gives details about the history of Astronomy between the East and West, and the mysteries surrounding the creation of the universe. Visitors can learn about and explore such things as the solar system, galaxy, and black holes. It shows visitors the future of aerospace. People who visited JAM talked about their first impressions. Seowonjun, a 5 years old who lived in Buchun, felt excited to see the rockets and found them to be amazing.Yangseokwan, a 47 years old who lives in Jeju thought the museum was good because he can learn about culture and life. Joinhwan, a 45 years old from Seoul, thought the museum was big, clean, and it has many things to see. The Jeju Aerospace Museum is opens at 9 a.m. on weekdays, Sundays, and Public holidays. It usually closes at 6 p.m, but on Saturdays and Public Holidays it closed at 9 p.m. JAM’s number is 064-800-2000, and their Facebook webpage is www.facebook.com/jam.jeju.